Subitizing Math Centers for Pre-K and Kindergarten! Subitizing is the ability to identify a small set of numbers quickly without actually counting. This skill is necessary for early math skills and continues to be an important skill throughout life! 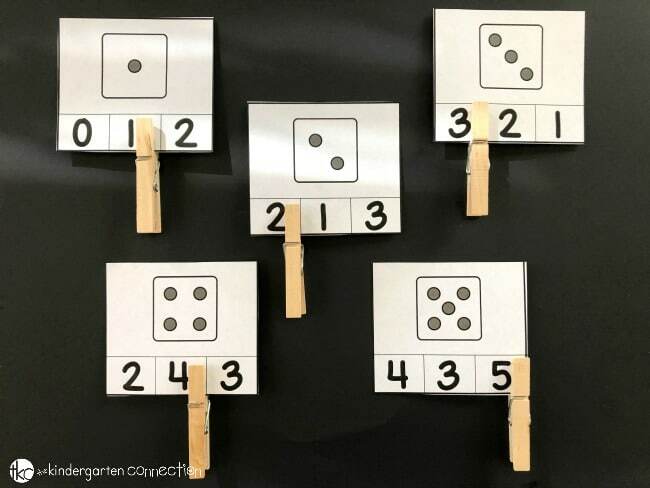 We can begin to teach subitizing in our classrooms in Pre-k and Kindergarten as soon as children have a solid foundation of counting and one to one correspondence, since subitizing relies on counting sets of numbers and objects in a set. 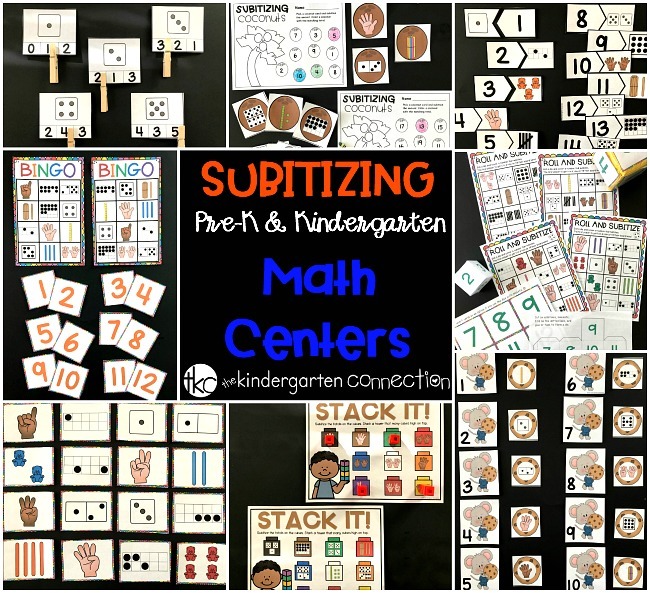 I’m excited to share with you today these Subitizing Math Centers! 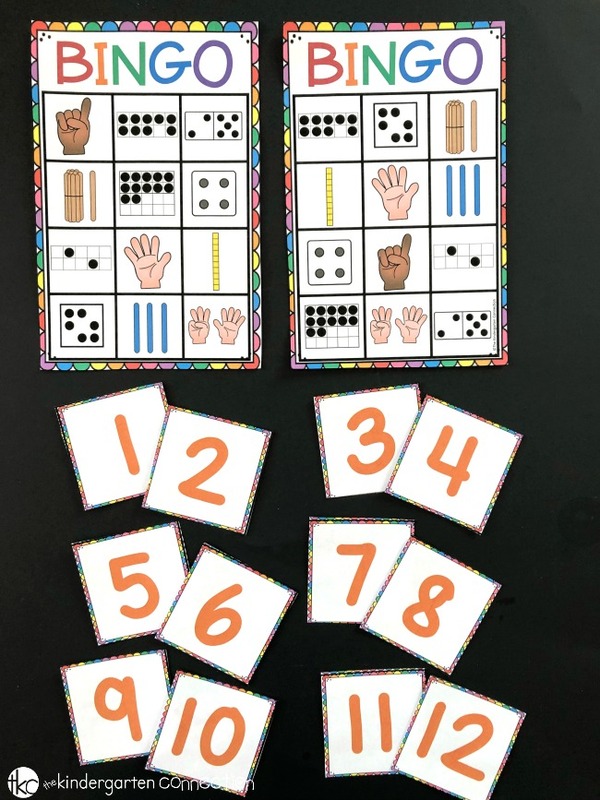 These activities will make it so much fun for your students to practice subitizing numbers in your classroom math center or small groups! 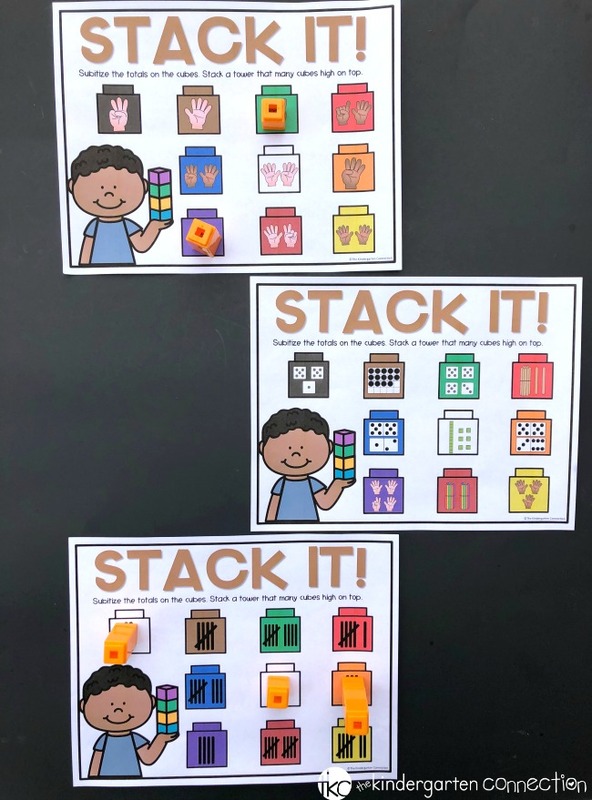 Grab the subitizing activities in our Teachers Pay Teachers store, or snag the HUGE Print and Play Centers Bundle to have skills-based centers planned for you all year long. That’s right – since they don’t follow a specific theme or season, you can pull them out anytime you want! Use them for math centers, small groups, independent work – you name it! 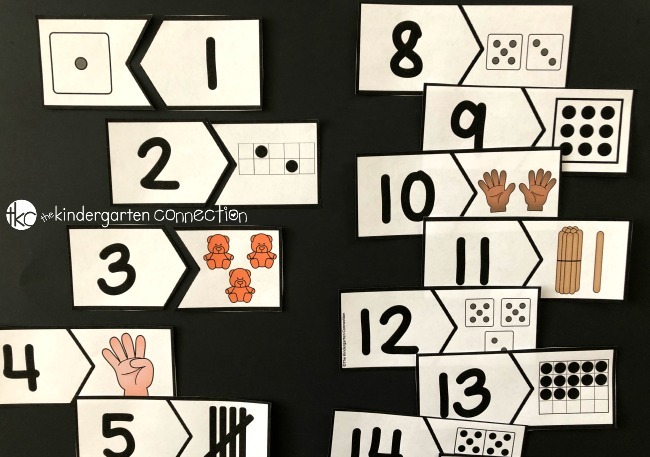 Here’s a quick look at just some of our favorite subitizing math activities! This roll and cover activity is best to use in pairs or small groups. Children can turn it into a game! There are 4 cards included, 2 for numbers 1-6 and 2 sheets for numbers 7-12. Player #1 rolls a die and covers the number that it matches. Player #2 then takes their turn doing the same. The first player to get 4 in a row wins OR you can play blackout where the entire card has to be covered in order to win. You can use the printable die or print our included pocket die inserts to use with a pocket die like this one here! Tip: Use fun manipulatives or snack item to cover the pictures on the cards. Students will use unifix cubes or linking cubes to stack a tower that matches the totals. Included in this activity are 7 pages of Stack It Subitizing sheets. You can place this in your math center or use in small groups. 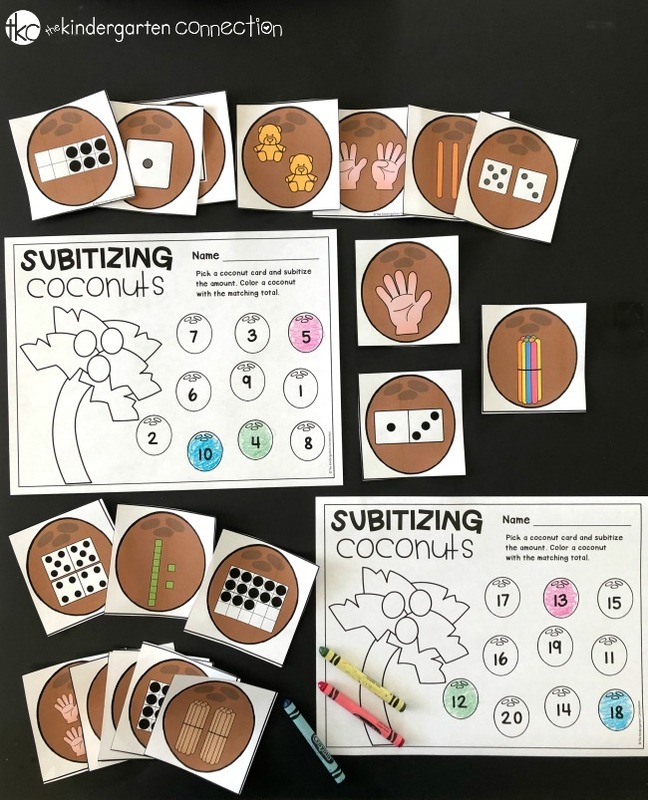 We like to use this Subitizing Coconut activity as a grab and color math center! Simply include a basket or grab bag with crayons for an easy-prep subitizing activity. You can use this in math centers, small groups or as a morning start or early finisher activity too! This printable includes 2 subitizing pages for numbers 1-10 and 11-20. 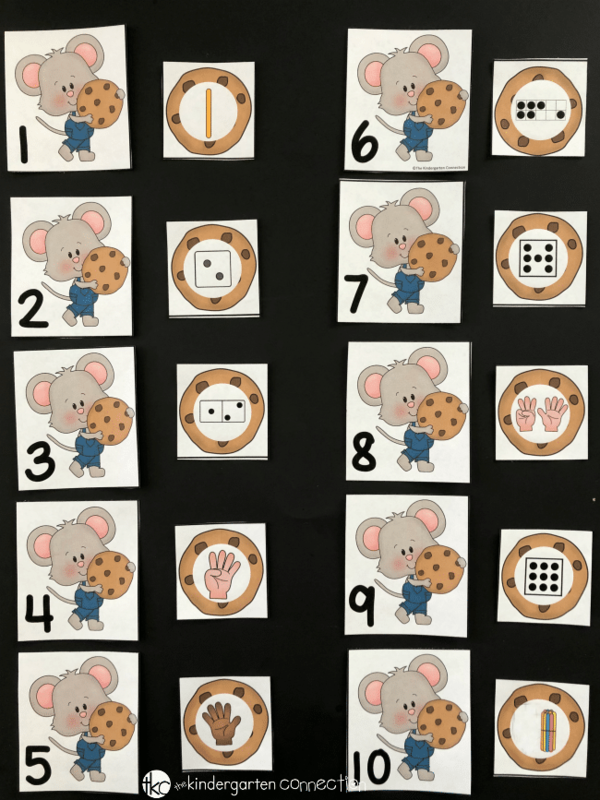 This Mouse and Cookie Subitizing Match Game can be used in a number of ways! There are 20 Mouse Cards for numbers 1-20 and 20 Subitizing Cookie Cards. You can use this as a traditional memory matching game where children turn all of the cards over and scatter them around. Students take turns flipping the cards over to count the subitizing cards and find their mouse card match. We also like to use these matching cards for a game of pull and match. In pairs, children split the mouse cards in half and each gets their own stack of 10 cards. They then place all the subitizing cookie cards in a basket and take turns pulling cards one at at time to count them and find their subitizing cookie card that matches one of their mouse number cards! With matching cards the possibilities are endless! There are so many ways to play! Everybody loves a game of BINGO! These Subitzing Bingo cards are perfect for a whole class activity, small groups or even centers for a pair of students. This set comes with 12 BINGO cards that have numbers 1-12 represented. Use fun manipulatives as the place holders or a sweet treat to make it extra fun! Winners get to eat their treats! Build fine motor and subitizing skills at the same time with these clip cards! 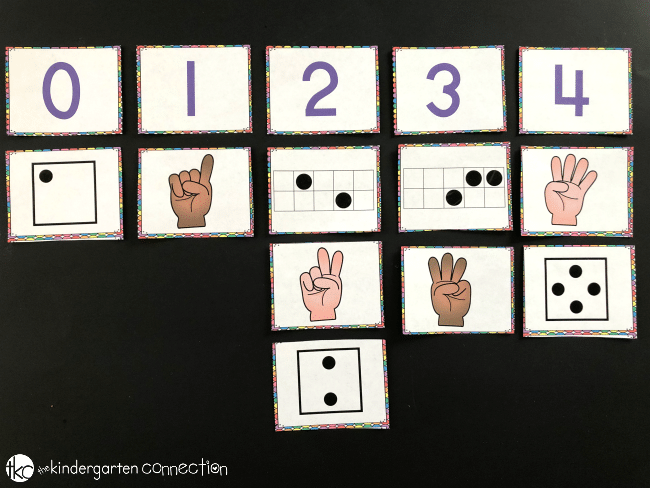 There are 3 sets of clip cards that showcase, counting fingers, ten/twenty frames and dice. 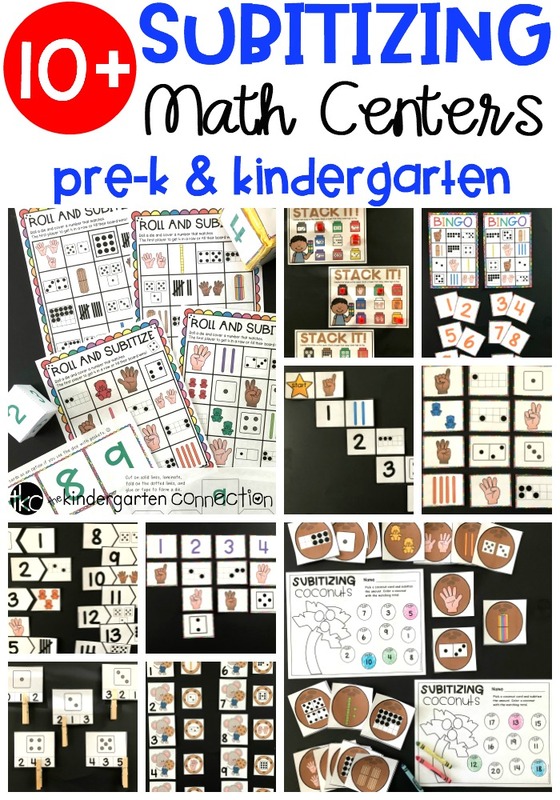 This easy-prep math center can be ready in an instant! Simply print, laminate and grab some clothespins for some subitizing fun! Tip: If you want to switch things up you can use dry erase markers instead of clothespins! I like to use these Subitizing Dominoes and Puzzles not only for math center activities but also for morning start work and early finishers too! Both activities are super easy to prep! Simply laminate and cut apart the pieces. 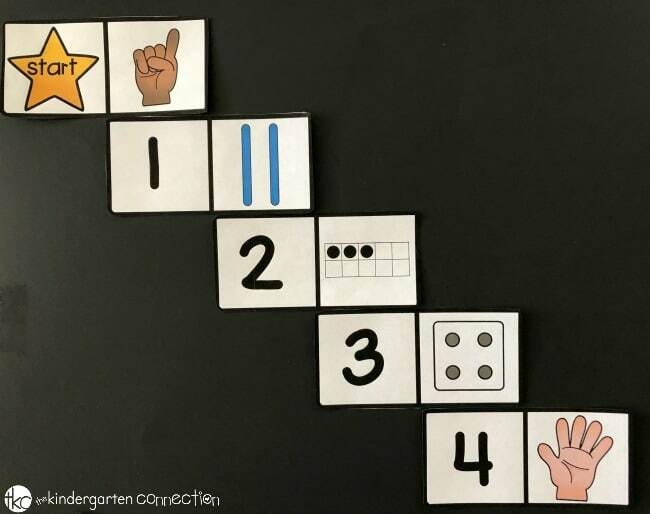 The subitizing dominoes are played by beginning at the star that says, “start.” Students will match up numbers and pictures by placing the number next to its matching amount. This will create a long train of subitized numbers! The subitizing puzzles are a simple puzzle matching activity. You can make the puzzle pieces self-correcting for beginners, by writing the number on the back of the subitizing puzzle pieces. You’ll be able to use these activities more than once if you take the extra step to laminate them first! We love having these on hand for small groups, circle time, number talks or anytime! You can cut, laminate and hole punch them to place on a large ring for easy use. This set comes with numbers 1-20 represented in 4 different ways! Using pocket chart activities is one of my most favorite ways to practice skills in my classroom! 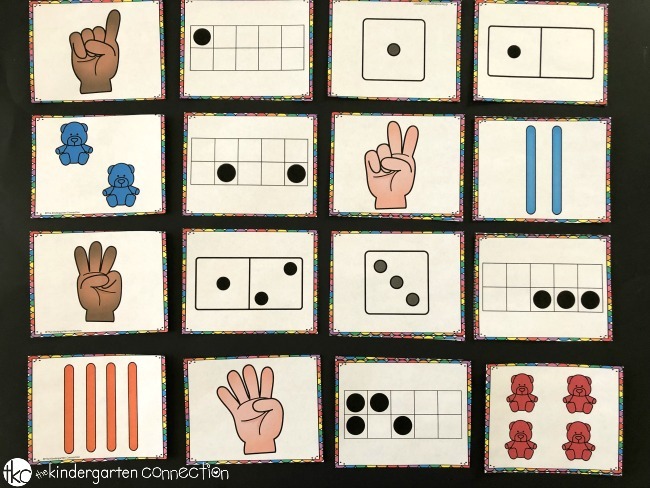 This Subitizing Pocket Chart Sort can be used with or without a pocket chart. The set comes with numbers 1-20 represented in 4 different ways! I would start with shuffling the subitizing cards and passing them out to your students in a whole class setting during morning circle time. You would then call on students one by one to have them place their subitizing card in the pocket chart under the correct number. You can also use in small groups to check for understanding or as a quick assessment. Lastly, you might try placing this in your math center and have students work in pairs to properly sort the subitizing cards. 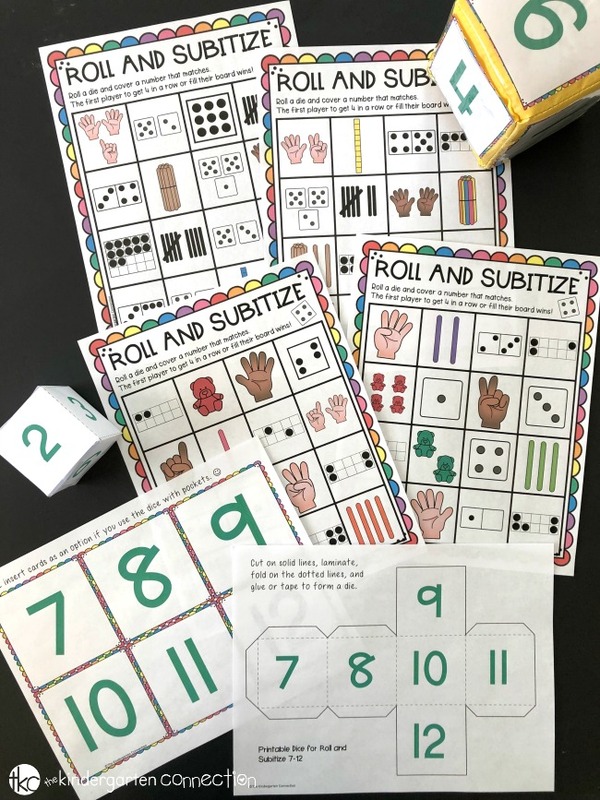 Your students are going to have so much fun practicing their subitizing skills with these activities! If you’re looking to save on ink, there are black and white copies at the end of the files! Ready for tons of subitizing fun? Grab your pack of Subitizing Centers in our Teachers Pay Teachers store, or snag the HUGE Print and Play Centers Bundle to save BIG!